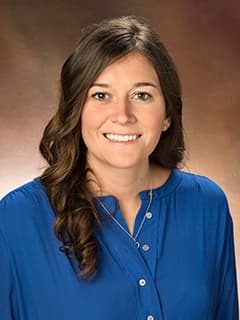 Stephanie Brennan, MHA, CPHQ, HEM, is a Behavioral Health Operations Manager with the Healthy Minds, Healthy Kids: Integrated Care Initiative at Children's Hospital of Philadelphia. Schwartz, B.S., Brennan, S., Orapallo, A., Mautone, J.A. : Using the quality improvement framework to increase show rates for behavioral health appointments in integrated primary care. (Presentation at the 2018 American Psychological Association Annual Conference, August 11, 2018). Mautone, J. A., Schwartz, B. S., Williamson, A. I., Brennan, S. E., Orapallo, A., & Swift, L. E.: Predicting and Improving Show Rates in Integrated Primary Care. In J. F. Young and J. A. Mautone (Chairs), The Identification and Treatment of Behavioral Health Problems in Pediatric Primary Care. (Presentation at the annual meeting of the Association for Behavioral and Cognitive Therapies, Washington, DC, November 16, 2018). Mack, A., Brennan, S., & Sheker, J.: Morbidity Mortality Conferences for Behavioral Health: Analyzing Standardized Processes and Identifying Needs for New Ones. (Presentation at the 2018 Institute for Healthcare Improvement National Forum, Orlando, FL, December 11, 2018).